Coffee, latte and cappuccino. For many in Toronto, these are the first things people want in the morning and sometimes long into the day. There are many convenient spots in L'Amoreaux to grab a coffee. Enjoy a cup to go while strolling through the tree-lined streets or while inside the warm and friendly shops near 20 Stonehill Court. Egg Smart (3268 Finch Avenue East) is more than an inviting shop to grab a cup of Bottomless Coffee or a fresh cup to go. It's also a warm and cozy restaurant serving up a variety of breakfast and lunch specials such as Golden Waffles with Fresh Fruit or savoury Steak Sandwiches. As a thank you to their customers, Egg Smart offers its guests a free entree when they buy an entree at any price during Bogo Tuesdays (first Tuesday of every month). Keep an eye out for contests in store or on their website. 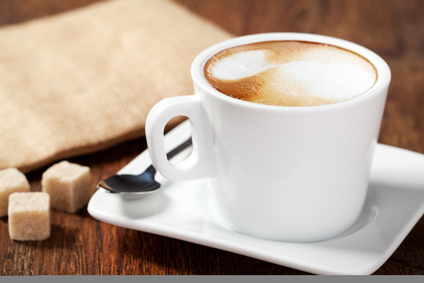 Coffee Time (4040 Finch Avenue East) is the perfect place to combine specialty coffees with baked snacks. Like Tim Hortons, Coffee Time serves up unique blends of hot or cold coffee beverages at an affordable price. Guests can enjoy freshly prepared soups and sandwiches and a coffee of their choice during breakfast or lunch. Seating is ample and it's only a five-minute drive east of 20 Stonehill Court. A national favourite, Tim Hortons (2900 Warden Avenue) has built their success on one basic principle: always fresh. Throw a stone anywhere in L'Amoreaux and it will likely hit a Tim Hortons that offers double-doubles, triple-triples and anything between. There's much more than just drip coffee, loyal guests can choose between affordable cafe mochas, cappuccinos and vanilla bean lattes. Tim Hortons also has a selection of hearty soups and sandwiches like their new Steak Panini. Don't forget that every location has free Wifi. Coffee Here (3430 Finch Avenue East) is for people who want local coffee in a casual atmosphere. This no frills coffee shop has a variety of regular and dark roasted coffees served by a friendly and accommodating staff. It's easy to grab a cup to go on your way to work since Coffee Here is located a seven-minute walk north of 20 Stonehill Court. The coffee shops and cafes in L'Amoreaux are as down to earth and genuine as the neighbourhood. With a walking score of 69/100 from walkingscore.com, it's easy to explore coffee shops, restaurants and parks near and beyond Preston Apartments any day of the week.